The Promenade des Anglais is a long seaside walkway that stretches along the Mediterranean coast in Nice France. 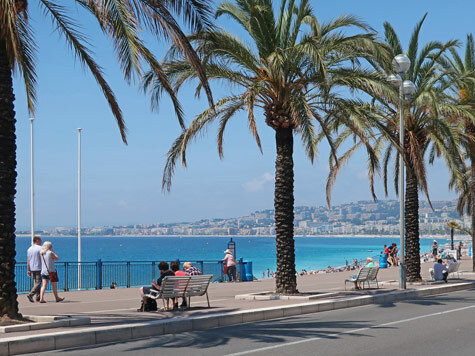 Built in the 1830s, visitors to Nice can enjoy a leisurely walk along the Baie des Anges. Many of Nice's most elegant hotels, restaurants and shops are situated along the 5 kilometre roadway that runs adjacent to the pedestrian promenade.